Once they completed the task, they decided they shouldn’t limit the use of the software to just Parth’s dad’s practice. They spent some more time cleaning it up and making it pretty. It is now available online at ICD10Charts.com. It’s free to any doctor in the country who wants to use it – and ready in plenty of time for practices to get ready for the October 1, 2015 deadline for compliance with the required conversion. I asked Parth why he didn’t turn ICD-10 Charts into a business – after all he had already found out that there are consultants and companies who view the conversion requirement as a goldmine. He said he grew up working in his family’s practice and he wanted to do something for solo docs and small practices. His plan is to go into practice with his dad and brother after he completes his training. I had a chance to spend some time on the ICD10 Charts’ site and found that overall everything worked as it was supposed to and it was easy to use. Parth and Will have also designed a ICD-9 to – ICD-10 conversion training course – again – free for anyone who wants to take it. They will release a comprehensive ICD-10 training course some time later this month. This new ICD-10 training course is being supported by the non-profit physician advocate group, The Physicians Foundation, which is a non-profit physicians’ advocacy group. I was able to zip through the training course in about an hour. It was easy to use and, with the exception of the music that wasn’t my cup of tea, I enjoyed going step-by-step through the process. I felt fully capable of using both the ICD-9 to ICD-10 converter and building my own customized charts after completing it. What I love about this story is that it is about so much more than just the software and a training course. 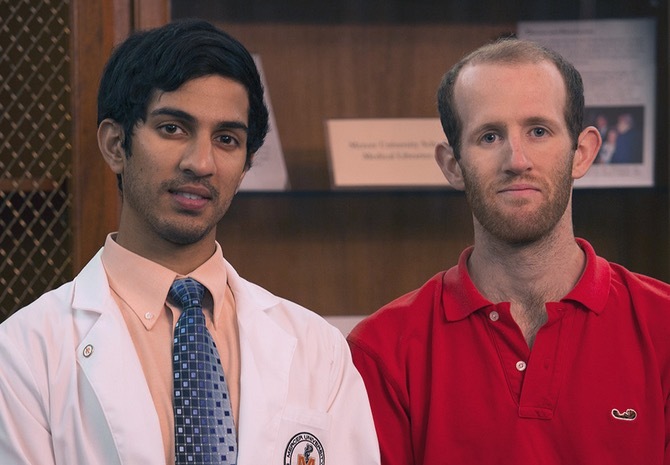 It is about a young man (and his friend) who saw a problem, designed a solution, and gave it away for free – all before one of them went to medical school. Parth and Will, my hat is off to you. Parth Desai is a second-year medical student at Mercer University and CEO of ICD-10 Charts. Patricia Salber is a blogger at The Doctor Weighs In.